It happens, sometimes, that a mermaid falls in love with a human: maybe with a sailor, a brave seventh son, or maybe a shipwrecked prince. There are some that choose to keep their mermaid form (the houses built by such couples, designed to be comfortable for both sides, are architectural marvels) but many choose to pay a mystic for the spell that will grant them a pair of legs instead. Sometimes the love-struck mermaid forsakes the seas as part of her payment; sometimes she keeps her options open. Wherever the relationship may end up in ten years time, at any rate the wedding that starts it off is always a sight to behold. I’ve written about traditional mermaid weddings, with their motifs of red seaweed and tattered gowns, but what looks romantic to mermaids just looks ragged to humans. Sometimes the bride will brook no compromise whatsoever, going with a dress that could just as easily be worn for a traditional mermaid wedding, except that it is the length humans expect for their weddings. These gowns will be the traditional bright red and have tattered edges, but they may also have more fabric than is considered practical or fashionable for an underwater wedding, just because the designer can get away with billowing skirts and so on on land. Such gowns are breathtaking, if unconventional to both humans and mermaids. But most such brides harbor romantic dreams of a human-style white wedding dress. (There’s a word in the mermaid language for the oddballs obsessed with human culture: our closest translation might be something like “xenophiliac” or “human otaku.”) As this bride did, they may include red accents or other reminders of the sea, perhaps as a nod to their heritage, perhaps just to keep their mothers happy. I decided to go back to just the dresses in the thumbnails after all. Thanks, everyone for bearing with my experiment and giving your opinions! What day is my wedding anniversary? 1) If you’ve already won this year, please don’t enter. 2) One guess per person per day. 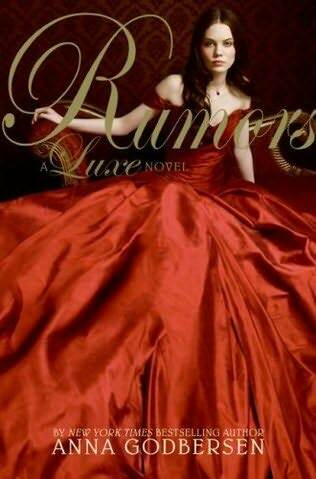 3) If no one gets the exact date by 9:00 PM EST, June 9th, I’ll pick the closest guess. 4) I’ll give one hint each day the contest goes on. – Today’s hint: It was in the summer. This is my second mermaid-on-land dress in a row for Mermaid Monday. Shall I do a proper one with a tail next week, or shall I show you a traditional mermaid wedding dress adapted to land? I love your stories about mermaid culture. And the dress is beautiful! For my guess… June 23rd? *sings* For they say if you marry in June, you will always be a bride…. My guess is… July 30th. Have you thought about doing a week of wedding gowns? Haha Its actually kinda ironic since I started and will end this week with a wedding. Have you thought about doing a week of wedding gowns? That would be kind of cool to see different cultures or even your favorite styles. Or even your gown. Haha Its actually kinda ironic to me since I started and will end this week with a wedding. I like the mermaids with tails the best. Mollie, I have, although I don’t think this will be the week (unless I feel really lazy tomorrow?) I’ve had weddings on the brain because I’ve been reading about Japanese weddings… Maybe the week I draw the red mermaid wedding dress? June 13. I love your mermaid cultures the best. They are so original =). I also like the dresses that they wear to human balls. Her latest collection is all oriental-inspired… and I love it <3 The Madame Butterfly is my favourite. August 24th!!! Oooo this dress is so pretty, for mermaids and humans! Hmmm August 18th? My birthday!!! I just discovered this website and i absoutely love it! Your gowns are fantastically crafted everytime. I’ve spent all of today looking through the whole website for more and more dresses!!! I keep reading about your old boutique? Whats that website, I cannot find it?? thanks!! Oh and my guess is…June 16.
i am going to guess july 14th beacuase thats my birthday. Patricia, the Boutique is the website that I did when I was in high school / part of college. It doesn’t exist anymore, but sometimes I post outfits from that website. Did you see the link to my 2004 paperdoll blog? No i have not fully investigated :D But I’ll look right now! I love the bouquet! June 27? Awwwe I liked it on the doll! It’s ok though your masterpieces delight me no matter how you post them, Uh, july 31? Summer weddings are cool! 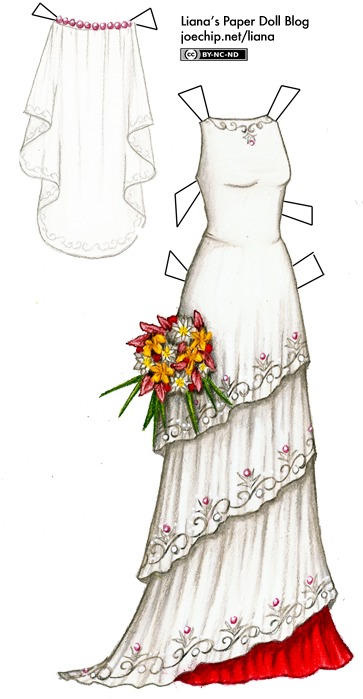 Can you paperdoll your wedding dress? August 5th~ and by the way, I would really like you to do a mermaid with a tail that has a short, spiky skirt, that’s red, over it, and a hibiscus-like bodice. A week of wedding gowns is a fun idea! And you should totally draw your own gown. Maybe it’ll help us guess the date of your wedding.